Context: Crohn’s disease (CD) may lead to malnutrition even in clinical remission. Few studies have examined the best malnutrition screening tools for ambulatory CD patients. Objective: The objective of this study is to compare different methods of nutritional screening for CD patients in an ambulatory setting and to correlate these results with the European Society of Parenteral and Enteral nutrition (ESPEN) and the American Society of Parenteral and Enteral Nutrition (ASPEN) definitions of malnutrition. Methods: This is a prospective study in our ambulatory clinic. CD patients in clinical remission or with minimal disease activity were included. Nutritional status and the performance of malnutrition screening tools in these patients were assessed. Results: We included 69 CD patients between 2016 and 2017. Based on malnutrition definitions (ESPEN, ASPEN and combined definition (ESPEN and ASPEN), 14, 5 %, 17, 4% and 21, 7% patients respectively were malnourished. Among the malnutrition screening tools evaluated, the SGA had the best sensitivity and specificity for detecting malnutrition (sensitivity 66, 6%; specificity 94, 4%; kappa 0,642). The MUST had a sensitivity of 40% and a specificity of 98, 2%, and the SNAQ, a sensitivity of 53, 3% and specificity of 94, 4% (Kappa 0,472). Prior digestive surgery and dietary restrictions were independent predictors of malnutrition on multivariate analysis. 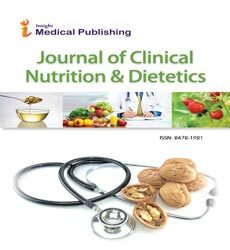 Conclusion: This study shows that even in remission, ambulatory CD patients suffer from malnutrition and dietary restrictions. Malnutrition screening should be included in routine clinical practice. In our study, SNAQ had the best agreement with ESPEN and ASPEN malnutrition definition. SGA is an assessment tools rather than a screening tool, but clinical judgement combined with SGA would be a good alternative to SNAQ in clinical practice.